You're on the road, getting it done. And it's our goal to keep you in comfort and style as you do it. Here, our picks for the most enjoyable, efficient and tasty new ways to go forth and conquer. These are boom times for anyone who enjoys new hotels. Many of the projects that stalled after hitting financial trouble in 2008 or 2009 were resurrected over the past two years. Some have been completed and are open for business; more are on the way. You'll find a few in New York and, notably, Chicago, but many are located in the revitalized downtowns of emerging business destinations--places where businesspeople have been stuck for years in the same old Marriotts and Hyatts. Four Seasons is looking to change that, by identifying emerging markets for the top-tier traveler and getting in first, preempting the competition. That's exactly what happened in Austin, Texas, according to Craig Reid, president of hotel operations for the Four Seasons Americas. "We opened back in 1986," he says. "We're still the only ones there in the category." Now the company is focused on Baltimore, where it opened in November 2011. Why here, as opposed to the Magnificent Mile or Park Avenue? "You're a much more important player, relative to the city," Reid says. "Your hotel becomes an important landmark. And if you think about some of the businesses that are in Baltimore, for example, there's vibrant economic activity there. We believe that will only grow from here." The most compelling of the new generation of business properties, the Four Seasons Baltimore needed nine years and $200 million to go from concept to completion. 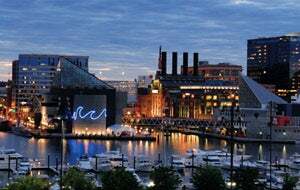 It juts into the Inner Harbor and shows off marina and downtown views with floor-to-ceiling windows in guest rooms and many of the meeting spaces. "The top-of-the-line hotels here before us weren't bad, by any means, but the service was certainly more casual," says general manager Julien Carralero, who imported more than 50 employees from other Four Seasons properties, from the lead bartender to accountants and engineers. Then he enticed more from The Ritz-Carlton and other top properties in Washington, D.C., and beyond. The result is a staff that anticipates needs. More than half of the Four Seasons' traffic is commercial--investment management firm Legg Mason's corporate headquarters and the Johns Hopkins business school share a cul-de-sac with the property in the burgeoning Harbor East area--and the hotel was designed to maximize productivity. Workspace in guest rooms is ample; several suites even have internal offices, with a desk, bookshelves and a door that closes for privacy. The audio-visual and communications equipment in the conference rooms has all the latest innovations. The first Four Seasons to open on the East Coast in nearly a decade, the hotel also includes the requisite resort-like amenities; there's a bar beside the infinity pool, a full complement of spa services. And because a truly great business hotel should provide guests with everything they need so they don't have to leave, the Four Seasons houses two of the city's best restaurants. 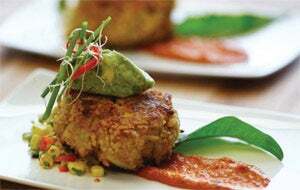 Wit & Wisdom delivers superchef Michael Mina's take on modern American food, with a nod to the local setting. And Pabu, a joint venture between Mina and California chef Ken Tominaga, offers authentic izakaya-style yakitori skewers, as well as some of the most accomplished sushi south of New York. Taken together, they serve notice that the Four Seasons Baltimore isn't merely competing with other local hotels but is looking to lure business and leisure travelers who wouldn't have gone to the city before. In the hotel's first year, it staged 42 weddings and an untold number of getaway weekends, from moneyed couples out of Maryland's horse country to adventurous New Yorkers and even Europeans. It's also filling meeting halls with business and professional groups that previously had not considered Baltimore in their event planning. "If you build a special hotel, you're actually able to attract visitors to the market," Reid says. "You build on the reputation you've established in other places and create a destination." In Baltimore, that's just what the Four Seasons has done. For years, Phoenix's S ky Harbor Airport ranked among the worst places in America to get a decent meal, even by airport standards. But a makeover of the international concourse, completed in late 2012, has changed that. 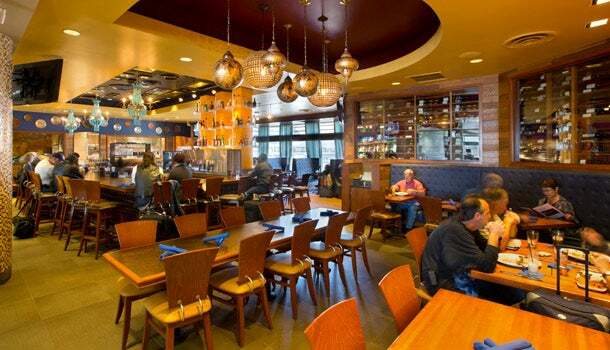 The best addition is a satellite version of Cowboy Ciao, Peter Kasperski's semi-Southwestern restaurant in downtown Scottsdale, Ariz. HMSHost's contract with the airport promises that its restaurants will use the same menus as the originals (with the addition of a full breakfast), and to a great extent that's what Cowboy Ciao has offered since opening last November, modified only by a lack of gas for the stoves and limited prep space. That means the availability of singular dishes such as Southwest-rubbed pork shank osso buco, truffle mac 'n' cheese, Korean-style short ribs and the Testosterone Salad, featuring charred beef, blue cheese and bourbon-soaked cherries. Add 60 wines by the bottle, an extensive cocktail menu and food service until half an hour after the last passengers land, and there's finally somewhere to eat that makes routing through Phoenix worthwhile. 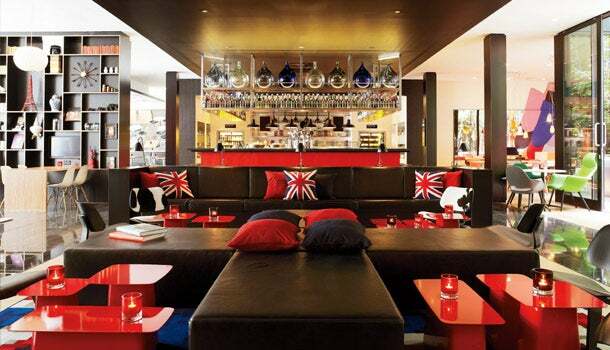 A hit in Amsterdam, London and Glasgow, the Dutch chain citizenM will make its U.S. debut this year in New York City, first in Midtown and then down in the Bowery, offering light-filled, spacious rooms loaded with free amenities for a below-market price. 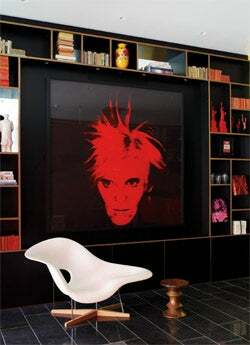 All rooms in citizenM properties have wall-to-wall windows, free international calling and free movies on demand. An electronic mood pad lets you dim lights, close shades and even switch ambient music channels from your bed. Further, the lobbies look like living rooms, iMacs are provided for in-hotel use, and the 24-hour bar/restaurant sells everything from sandwiches to sushi. That citizenM does all this while remaining within the budget of the typical independent businessperson (room rates in New York are expected to start at $199) is remarkable, especially given that all three existing properties have received glowing service reviews. "We've started from scratch, looked at the behavior of this new generation of travelers and built our company accordingly," says co-founder Robin Chadha. "We're an online company with no reservations team--everything on the internet--and we use technology to offset staff costs. All the savings, we pass on to our guests." The original Beaudevin, in Brussels, has been called the world's best wine bar. 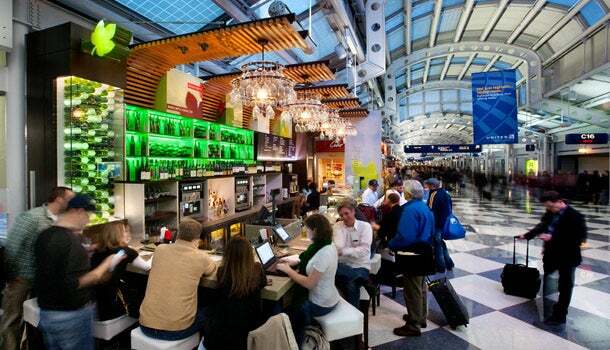 The U.S. outposts--in Miami International Airport's North Terminal D; Chicago O'Hare's Terminal 1, C Concourse; and the main terminal at Charlotte Douglas (N.C.) International Airport--offer charcuterie, cheese plates and robust open-face sandwiches in a refined setting that almost lets you forget you're in an airport. The biggest draws are wines such as Meeker Winemaker's Handprint Merlot, Catena Zapata Malbec and Silver Oak Cabernet Sauvignon, all served by the bottle, the glass, in 3-ounce pours or arranged in themed flights. Next on the horizon is Beaudevin San Diego, with others on the way. Want to ensure that your seatmates on your six-hour flight don't talk to you? Or, perhaps, the opposite is true: You'd like to network with someone headed to the same convention, watch a movie beside someone with similar interests, play cards or increase the odds of sitting next to someone you might want to date. Social seating is the answer. 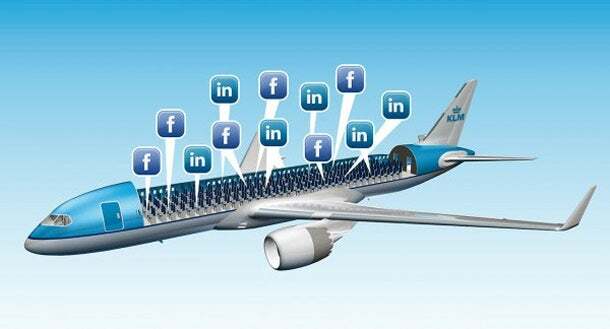 KLM, Malaysia Airlines and other international carriers have initiated voluntary programs that let travelers swap LinkedIn and Facebook profiles and even photographs in order to pick their seatmates before they fly. Each airline works its program somewhat differently; airBaltic asks travelers for their "mood," while KLM allows them to post social network information three months before flying and survey the market. The idea is to maximize consumer satisfaction--or at least minimize dissatisfaction--by putting you next to someone you might actually want to talk to if you were to meet them elsewhere. From solar-powered phone chargers to travel irons, ear buds to the latest iteration of the Rollaboard carry-on, we've trolled the marketplace for something new that significantly raises the bar in its category. What we found instead were incremental gains--higher-resolution screens and longer-lasting batteries that raise capacity, extend range and increase functionality of existing devices. Or new casings and color schemes that add an aesthetic touch. Worthy achievements, to be sure, but nothing that makes the business traveler's life on the road substantially better or easier. For true innovation, we have our eye on 2014. "Call me back later this year," said the marketing manager of an electronics firm in upstate New York when we inquired. "I think, like everyone else, we have a lot of R&D that's just about ready to pay off." A free smartphone app that automatically pulls dial-in information off your calendar, MobileDay lets you make conference calls by touching a single icon. "Our mantra is, 'Never dial again,' says co-founder and vice president of business development Brad Dupee. "We're eliminating dialing for any call you need to make on your cell phone, providing it's on your calendar." Automated conferencing--which typically relies on dialing an 11-digit number, then punching in a code to identify you as a participant and route you to the right call--just wasn't designed for cell phones. In most systems, the access number and code are on a different screen than the dial pad. "So people toggle back and forth putting in a few numbers at a time," Dupee says. "Or else they try to scribble it down while driving or whatever they're doing. It's a mess." An elegant solution to this problem seemed like a far bigger business than simply letting executives' schedules talk to each other, which was the original aim of Dupee's startup. 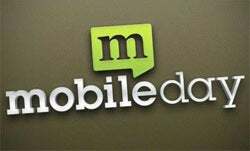 So the company took a left turn--relaunching as MobileDay in early 2012 with a focus on streamlining the conference-call-dialing process for business travelers--and has been growing since. Punching in your mobile number on the website will send the app to your phone, where it can be launched from there. For now, services are free. Premium options will follow later this year.